Video Instructional, Step by Step Plans Show You How to Build Your Own Frequency Resonance Water Structuring Unit Pioneered by Award-winning Health Science Expert, Dr. Leonard G. Horowitz. Image shows finished structured water frequency memory unit below that manufactures water containing certain programmed frequencies. Above is shown 528Hz/nm energized water transforming the color. Learn from the most knowledgeable source of healing water intelligence, Dr. Leonard G. Horowitz, who collaborated with Dr. Masaru Emoto and Dr. Lee Lorenzen to advance the first, most successful, and most beneficial structured water products in the world. Save more than $12,000 by making it yourself for less than $2,000 (including this program) by using Dr. Horowitz's easy-to-follow instructions. This commercially-valuable product is not hard to make, but its best made with a bit of artistic creativity. If you are a little technical-minded, and mildly handy with a few common tools, and want to start a business producing consumer health products using special frequencies, this is a GREAT investment. 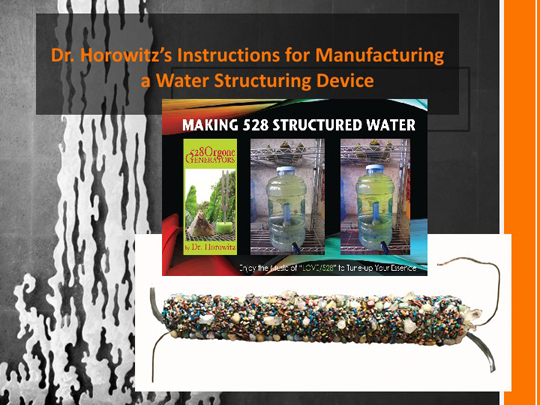 Dr. Horowitz's video instructions will guide you and enable you to not only produce a machine that will produce large amounts of "designer structured water" for yourself, your family, and community, but also for lines and brands of natural health products. Entrepreneurs outreaching to health-conscious consumers will love this product and opportunity. You can use this FRWSU to produce your own novel line of water-based frequency-resonating products for helping people heal themselves naturally, inexpensively, more rapidly, and drug free. This video is one of four (4) commercially-valuable equipment manufacturing instructional programs featured in Dr. Horowitz's 12-credit hour certified "Frequency Rehab Course" that you might want to take before or after you purchase this lesson and manufacturing activity. (The total Course trains you to own and operate a virtual Frequency Rehab Franchise in your area.) This is great for natural caregivers and health professionals too. Simply watch this instructional video and/or read the downloaded pdf guide material. If you are moderately "handy" with tools and can following simple directions you will succeed. 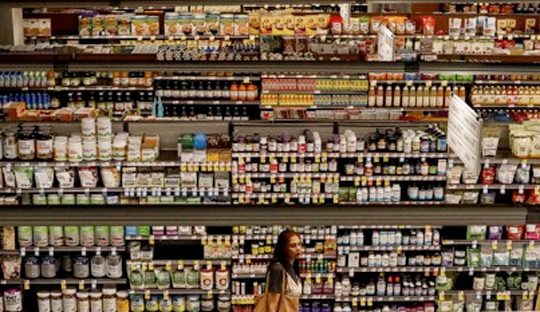 Most of the supplies needed are readily available at your local hardware store. Your download resource list provides the few additional providers you will contact to order a couple of specialty items. Your material costs beyond this $1500 training investment is minimal, less than $300. And you can actually produce many of these devices from your one-time investment. You purchase and constructed product made to Dr. Horowitz's specs enables you to sell your healing products under a 'win-win' agreement in which you can advertise Dr. Horowitz's contribution to your product line and reciprocate with a 'tithe' of 10% of your sales, if you go into business with this valuable equipment. You will sign a contract with the inventor of this patent-pending design to enable further research and developments in this beneficial field. Your 10% royalty will go to help the non-profit (tax deductible) Medical Veritas educational company advance additional natural health education publications such as this valuable instructional video. Make endless amounts of structured ('clustered') water vibrating at the frequency(ies) you set. The water will hold and relay that memory of that precise frequency. Choose your frequencies with specific healing and energy balancing in mind. Your equipment will be able to plug into any standard Rife frequency generator. By so doing, you will be able to develop 'designer structured water.' Select the best natural healing frequencies you want. 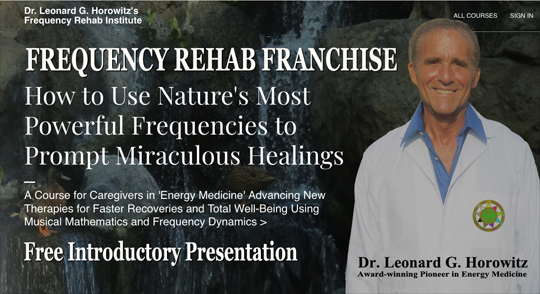 Dr. Horowitz's Course on 'Frequency Rehab' shares much knowledge in this fascinating and rapdily-emerging 'Energy Medicine' field. Then manufacture as much structured water as you like, using nature's model and most healing energies. Dr. Horowitz recommends 528Hz/nm. But you can use other precise frequencies to resonate and encode into you water. Make homeopathic solutions, water based lotions, creams, energy drinks, herbal elixirs, and more, all using this powerful structured water in commerce to spread healing. Start your own brand of healing products using these instructions. This product is highly recommended for forward-thinking, entrepreneurial, health professionals, and owners of spas and gyms wherein you can bottle and sell this water for premium prices. Build you own "Energized Water Businesses" today with these instructions. Invest Only $1,500 to start manufacturing your Frequency Resonance Water Structuring Unit today! Click the button below to add the Instructions for Building Your Own Frequency Resonance Water Structuring Unit to your wish list.